Apartment accommodation now available for booking. June 1st to August 11th. Only $28 per night. Loyola also has its own Red Line train stop which is 24 hr service. Wrigleyville is only fifteen minutes away. The Red line also takes you directly down town. 2 bedroom apartments are now available at Loyola University through J1 Ireland. Book as group of 2 or 4. Prices start at $19.90. Great amenities and facilities. Single gender by apartment, coed building, Kitchen and Living Room, Clean linens and towels and room cleaning service will be provided on a weekly basis, at no additional charge. Ensuite bathrooms, Air Conditioning, Elevators, Extra-long twin beds 85.5”L x 36”W x 36”H, Front Desk 24-hour monitored and staffed desk; ID entry required, Access to all university dining halls and campus markets. 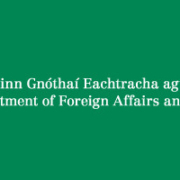 Following representation by J1 Ireland to the Department of Foreign Affairs, the department has issued a strong set of guidelines advising Irish students to best practice before securing or making payments for accommodation services before travelling to the United States on the J1 Visa Travel Program. Click here for DFA J1 Guide. If you’re planning to take part in the J1 Student Work and Travel programme, here’s some useful advice to help ensure your trip goes smoothly. 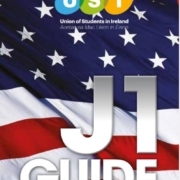 The Student Work and Travel programme (J1 programme) allows students from the US and Ireland to work and travel for several months every summer. It’s essential to plan well before any big trip abroad, especially if you’re planning to work and live in another country. Make sure you’ll be able to find accommodation in the USA. The lack of accommodation has been a serious issue for some Irish J1 students in traditional destinations such as Chicago. Every year, lost or stolen passports are a problem for J1 students. Getting replacement travel documentation can take time and will add to your expenses so make sure you keep your passport safe at all times and try not to carry it in public. Bring alternative photo identification with you, such as a driving licence and keep photocopies of the identification page of your passport in a secure place in case you have to apply for a replacement. If you do need to replace your passport, contact the nearest Irish Embassy or Consulate. Remember that if you travel to Mexico, you won’t be allowed to re-enter the US without a valid machine-readable passport. Falsifying or altering a passport is a criminal offence and in the USA a federal offence, punishable by fine, imprisonment and/or refusal of future entry to America. Make sure you have enough money to get yourself set up in the USA. Take a mixture of cash, travellers’ cheques and credit cards and don’t keep all your money in one place. Work out a realistic budget before you go. If you’re renting accommodation, you’ll need to pay a security deposit and some rent in advance. Many apartments and houses in the USA are rented unfurnished so you may also have the additional expense of buying furniture. Bear in mind that it may take several weeks before you get work or a Social Security Number, so bring enough money to cover yourself until then. We’ve received reports about a rental scam, in which students were asked to wire money for advance payment of rent to someone posing as a landlord, before they travelled to the USA. Please be aware that public disorder offences, such as public drunkenness, are penalised more severely in the United States than in Ireland. Drug use and supply are also considered serious offences. If you’re arrested and subsequently convicted, this could affect your ability to re-enter the United States in the future. While our Embassies and Consulate in the USA will do what we can to help you if you’re arrested, they can’t get you out of jail or help you evade trial. Keep your family up to date with your whereabouts and your travel plans. Bring a mobile phone that works in the USA so that you can be reached in case of emergency or crisis. If you don’t have an email account already, set one up. Many web-based email accounts are free, such as Yahoo!, G-mail, and Hotmail and are an easy and inexpensive way to keep in touch with your family and friends. If you don’t keep in touch with your loved ones or friends, it can cause them significant worry and needless anxiety.